From the age of 14, Ahrue Luster knew that he wanted to play loud, and heavy music as a career. Metal was the soundtrack to his troubled teens and music helped him through his most difficult times. Through a combination of hard work, belief, and a little luck, he’s been able to lead a career immersed in the music that he loves. 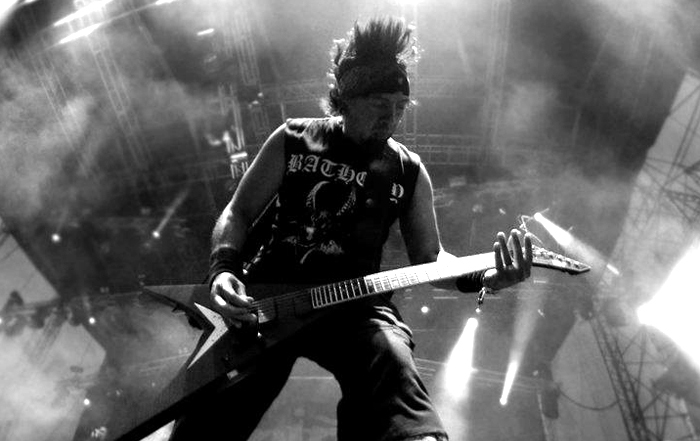 As the lead guitarist of Ill Niño and the former lead guitarist of Machine Head, Ahrue has performed concerts in over 40 countries and has sold nearly 2 million records over the course of a career that spans nearly 2 decades. Producing seemed like a natural progression for him since he has always been fascinated with anything that involves creating and recording music. He’s been graced with the opportunity of working beside some of the mega-producers that have helped shape three decades of Rock and Metal music including; Ross Robinson, Terry Date, Johny K, Colin Richardson, Andy Johns, Dan Korneff and Eddie Wohl. The knowledge that he has absorbed through working with these men is an invaluable treasure and shapes the way that he approaches his productions. When Ahrue isn't touring, he spends most of his time producing up-and-coming young bands through his own production company, Illustrious Productions.